BBC Sport presenter Ore Oduba is to step in for Phillip Schofield on the This Morning sofa later this week. The 31-year-old, currently appearing in Strictly Come Dancing, will host ITV’s flagship daytime show alongside Holly Willoughby Thursday while Schofield is away with filming commitments. 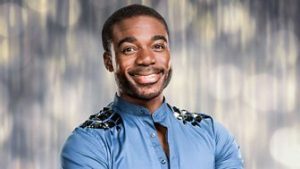 Oduba originally joined the BBC in 2008 as a reporter for Newsround, moving on in 2014 to present sport bulletins for BBC Breakfast and BBC Radio 5 live.